Leopard Yachts is an Italian luxury yacht building company, producing super yachts of the highest standard, quality and state-of-the-art technology. The Leopard shipyard ( ex Cantiere Navale Arno) spreads over 92.000 square metres, located in the midst of green near the Italian town of Pisa with the annual production exceeding 5 yachts. The trade mark Leopard represents an innovative company, employing skilled professionals contributing to the production of top quality motor yachts recognised all around the World. The shipyard offers the best services specifically researched and designed for your yacht. Leopard builds luxury motor yachts of the highest quality and craftsmanship aboard with the state of the art technology and latest design. The history of Leopard Yachts goes back to the 1907 when the Picchiotti family first established the Giuseppe Picchiotti e Figli shipyard. However, the shipyard we know today under the trade mark Leopard Yachts, launched its first wood built yacht in 1973. Following numerous launches, in August 1984, the company launched its first Leopard fibreglass yacht. Some of the famous pleasure motor yachts from this period include the Yacht Giglio, Motoryacht Giannutri, Motor Yacht Giraglia, Motor Yacht Gorgona, MY Mistral, M/Y Tiger, Yacht Lampuga, MY Lupo di Mare and the MY Cariddi. Today, Leopard Yachts has the new generation of the Picchiotti family continuing the tradition and guiding the shipyard with the same dedication, passion and knowledge, as their ancestors did centuries ago. The new millennium brought important news to the Leopard shipyard: after 4 centuries the Cantiere Navale Arno, today Leopard Yachts, moved from the Arno river and established its head office along the Canale dei Navicelli, near Pisa. Sandro Picchiotti is the current President of Leopard Yachts, with Paolo Picchiotti as the Vice President, supported by the nephews Nicola and Marco. At the head of the team is the Leopard Yachts CEO Vincenzo Moccia. 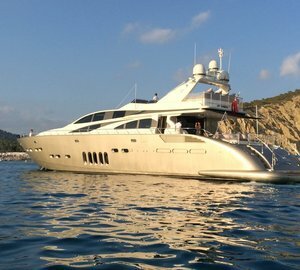 In 2008 Leopard Yachts created a new supply, refit and warranty service, as well as opened a new office South of France in the Golf Juan, which will offer services such as yacht management, crew management, fractional ownership, financial management, operational support, safety and security. The fleet of the Luxurious Leopard Motor Yacht series includes the 2004 launched motor yacht series Leopard 34, the 2005 launched motor yacht series Leopard 32, the motor yacht Leopard 46 series launched in 2008 and the Leopard 43 motor yacht series launched in 2010. 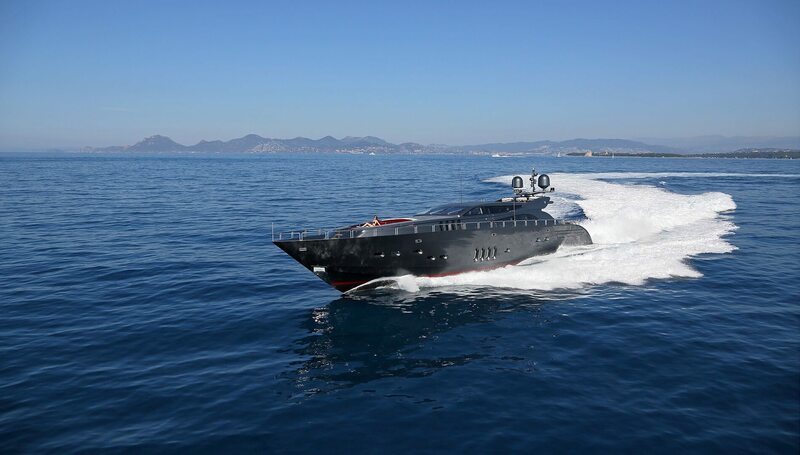 The latest addition to this line of world renowned luxury yachts is the project Leopard 56 motor yacht series, designed by the renowned André Bacigalupo designer, due to be delivered in 2012. 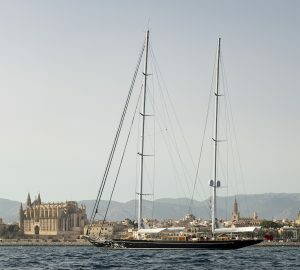 Some of the luxury motor yachts carrying the Leopard logo are the Motor Yacht LITTLE JEMS (2004), MotorYacht ANITA (2006), Motor Yacht SEA LION II (2006), MotorYacht HARDWORK II (2006), MotorYacht CHEEKY TIGER (2006), Motor Yacht SADELAN II (2007), Motor Yacht LISA III (2008), Motor Yacht CARAMIA (2008) , MotorYacht PURE ONE (2008). 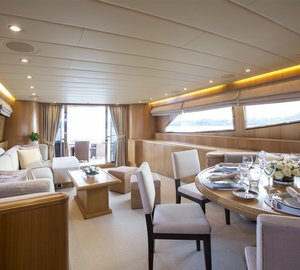 In May 2010 Leopard Yachts launched their first Leopard 43 hull, the Motor Yacht Mariellina.